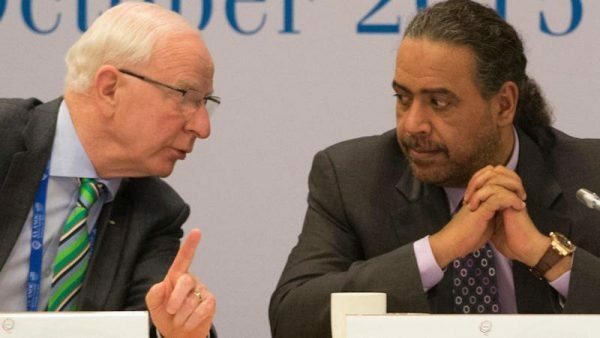 Patrick Hickey remains the listed International Olympic Committee (IOC) delegate member for autonomy despite his “temporary self suspension” from all sporting responsibilities. His name remains on the latest list of IOC Commissions published this week. The Irishman is also listed – with an asterisk saying he is temporarily self suspended – on the Public Affairs and Social Development Through Sport and Marketing Commissions. 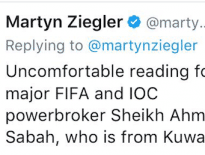 His name has, however, been completely removed from the Olympic Solidarity Commission. He also remains a suspended member of the IOC Executive Board, suspended President of the European Olympic Committees (EOC) and suspended first vice-president of the Association of National Olympic Committees (ANOC). Slovenia’s interim EOC President Janez Kocijančič is now a member of the Olympic Solidarity Commission so appears to have been appointed in place of Hickey. Hickey was arrested during a dawn raid at the Rio Olympics in August and briefly held in a high security prison before being detained under a house arrest. 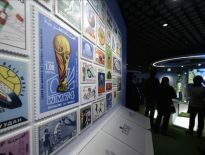 The 71-year-old was charged with various ticketing offences, which reportedly include criminal organisation, ticket touting, ambush marketing, larceny, money laundering and tax evasion. Hickey has denied all the charges against him. He was permitted to leave Brazil in December after paying a court bond of €410,000 ($440,000/£352,000) thanks to a loan from ANOC. But there has been no progress in recent months and appears no imminent prospect of any trial or significant developments. The IOC insist the “presumption of innocence” must be used with regard to Hickey until he is cleared or convicted of wrongdoing. 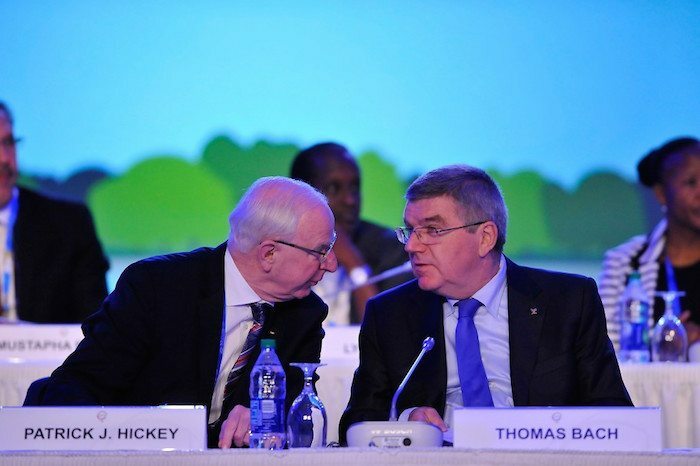 Hickey was appointed the Olympic Autonomy Tsar by IOC President Thomas Bach in 2014. The appointment made him responsible for helping find solutions when National Olympic Committees run into problems that threaten their status, particularly from Government interference. He played a key role alongside IOC deputy secretary general Pere Miró in dealing with escalating tension in Kuwait leading to the country’s suspension by the IOC in 2015. His appointment appeared slightly ironic considering how Hickey endured escalating tensions with the Irish Government in the days immediately preceding his arrest in Brazil. Hickey was replaced by Sarah Keane as President of the Olympic Council of Ireland in February. It is not clear to what extent his absence, together with the lack of an official replacement, is hindering IOC work regarding autonomy now. As well as continual problems in Kuwait, the last few months has seen tensions between NOCs and Governments in Kenya, Peru and – most recently – Australia.